SEO or search engine optimization is constantly changing. How does a website owner stay on top of SEO strategies that might help boost organic rankings? There are best practices that should be followed and reviewed on a regular basis. Let’s take a look 8 strategies to help maximize our SEO efforts going forward. With the growing number of people using their mobile devices to search the Internet, a mobile-friendly website can no longer be a luxury. If you have been putting off a mobile-friendly website, now is the time to take it off the back burner. Google has made it crystal clear: if you want your website to place in mobile search results, it must be mobile-friendly. It has been said that websites need to “Go Responsive of Go Home”. What is responsive design? Responsive web design is the technique of crafting a website so that it “responds” to any device that it is viewed in from a Smartphone and tablet to a desktop computer. Responsive design is Google’s recommended design pattern. Google’s warning: Fix mobile usability issues. You’ve heard it before that content is king. Going forward, content marketing will be more important than ever. SEO and content marketing are like macaroni and cheese. Each one alone is delicious, but when you bring them together, you have a dynamic combination. Why is the recipe of using SEO and content marketing so appealing? Because high quality, frequent unique content of substance will act as a digital magnet to draw links and social media shares that will ultimately increase rankings. How Important is Content Length? A study by serpIQ indicated that among the first page results on Google, the higher results had more word count. The study analyzed the top 10 search results for over 20,000 keywords. The results showed that average top ten results all had over 2,000 words. It also showed that the higher the word count, the higher the ranking. For example, the #1 average position for keywords analyzed had over 2,450 words and the #10 average position had over 2,000 words. I can almost hear some people groaning. There has been a lot of discussion over the length of an article. Some people have said that if you can say what you want to say in a 500-word article, then 500 words should be enough. On the flip side, 2,000 words may not be enough to cover a subject. The important point to take away is that research has shown that longer quality content appears to be ranked higher in the SERPs. There are other considerations like the quality and uniqueness of that content, and if your goal is to be found in the search engines, than high quality and unique content of substance should be on the top of your list. In July 2014, Google quietly rolled out a local search algorithm update that was coined, Pigeon, by Search Engine Land. If you have a business that you would like to be found locally for on Google, then it is essential that you maximize your local search listing. Google+ Page optimized for local signals. Provide amazing and value content that is optimized for local signals. Consistent NAP (name, address and phone number). The quest for quality incoming links as opposed to the quantity of links is not new news. High-quality relevant incoming links have been identified as one of the top ranking signals that Google uses. Concentrate on earning quality over quantity. A link from a high-quality website in your niche will far outweigh hundreds of links from nonrelated low quality websites. People will want to link to your content when you provide high-quality content. A blog is the perfect vehicle to do this. Simply put: high-quality content attracts high-quality links. “The best way to get other sites to create high-quality, relevant links to yours is to create unique, relevant content that can naturally gain popularity in the Internet community. Creating good content pays off: Links are usually editorial votes given by choice, and the more useful content you have, the greater the chances someone else will find that content valuable to their readers and link to it”. Guest blog on high-quality and relevant websites. When it comes to your website’s download time, speed matters. This is one of the few ranking factors that Google has publicly announced. Going forward, your website’s page speed will be growing in importance as Google puts more and more emphasis on the user experience. How do you speed up a website? Google provides its own PageSpeed Insights testing tool and Lighthouse. It analyzes a web page’s content for both a desktop and mobile device and then provides suggestions on how to increase the speed. Is an embedded video slowing down the speed of a web page? How about a home page slider? Or, perhaps a plugin is slowing down your website. If you have a WordPress driven website and/or blog, there are caching plugins that will help speed including W3 Total Cache (free version available) and WP Rocket (premium). Do you include important keywords in your page or post’s title? Google may be giving more weight to keywords that are placed at the beginning of your title. For example, if your post is about “sports injury prevention”, then a title with those keywords, in the beginning, will have more weight. While there is speculation about Bounce Rate, Google may take notice is someone lands on one of your web pages and then “bounces away” without visiting other pages of your website. This “pogo-sticking” may be a negative signal to Google that we know the company is measuring. To check your website’s Bounce Rate, you will need a Google Analytics account. Look for the “Bounce Rate” percentage in your dashboard. Give them a reason to stay. Site usability is one of the major causes of higher bounce rates. Providing an optimal user experience including great content above the fold will help give your visitors a reason to stay. In addition, an easy to use navigation and CTA (calls to action), and a compelling design will also help. Give them something to click. This is a simple but often overlooked tactic. For example, our friends at B Squared Online Media made some changes on their website’s home page. As a result, this tweak reduced the bounce rate by 25%. How? They tweaked the opening paragraph and added CTA (call to action) to each picture above the fold. Optimize your website’s mobile experience. As was previously stated, a mobile-friendly website is important for SEO. A mobile friendly responsive site will also help to reduce Bounce Rate. How many times have you searched for something on your smartphone and then clicked away because the page was too small to read and navigate? Be sure that the font on smartphones can be easily seen and that links are not too close together. Note that Google gave us time to switch to HTTPS. If you haven’t had an SSL installed on your website, do so now. For more, please see Chrome’s Non HTTPS Not Secure Warning – What You Need to Know. In conclusion, search engine optimization has definitely changed over the years. It continues to change and evolve. It may be frustrating trying to determine what the top ranking factors are out of Google’s over 200 factors. However, it does help to evaluate what the current SEO best practices are and what we know will help. 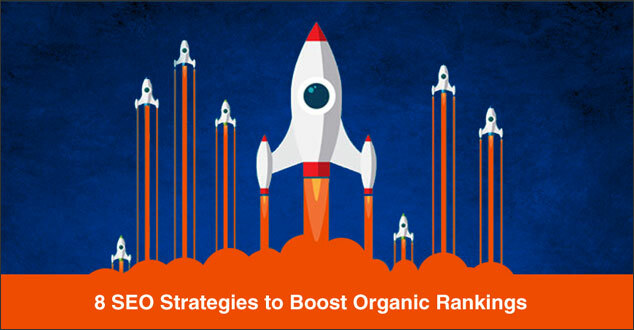 What do you think are the top SEO strategies to help boost your site’s organic search engine rankings? Please share your thoughts below. I’m going to be updating my website content this year and this was exactly the article I needed to read. I was expecting same old generic info without any true substance and was proven wrong! I appreciate the knowledge share and will pay it 4ward. Maryrose, I’m happy to hear that this article has been helpful. Thank you for stopping by and for paying it 4ward! Thanks for the valuable tips! You are so welcome, Ayelet. Thank you for stopping by and for your comment. You are most welcome, Walter. I’m happy to hear that you have found it helpful. Thank you for stopping by! 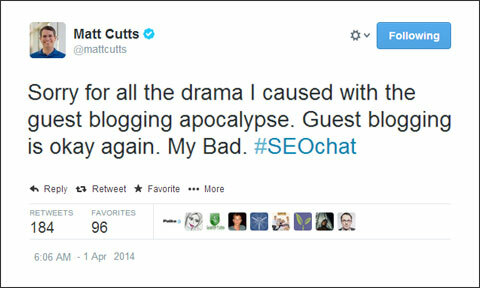 That was a great guide to SEO strategy. There are so many factors that one must consider these days, which is so different to just a few years ago. For me, I think the comment about having the right mindset is the most important part. I’ve spent a lot of time lately trying to rediscover exactly what I want to achieve, so I can have more clarity on how I do things. It was an important step, as I have been in the habit of constantly rebuilding my website when I should spend more time writing and promoting. Reading this has assured me that I’m taking the right steps, and the other reminders were most helpful too. I’m glad to hear that you found this helpful. You are right. There are so many factors that we need to consider these days. I agree about Eric Enge’s statement about having the right frame of mind to build our brand and our reputation is huge. Thank you for stopping by and for taking the time to read this. It is great connecting! It’s good to be here on your blog and thanks for writing on something that’s crucial. The more traffic I get from SEO, the more income my blog generates. That’s not to say that other traffic channels are not good enough though. simple truth is that natural traffic converts more. The best SEO tip I have known is producing excellent content that attracts natural links from ones community. For the most part, these inbound links transfer link juice and that has a huge impact on your ranking. Welcome to our blog! It is great to see you here. I agree. Natural traffic does convert more and producing high quality – excellent content that attracts natural links is huge. Thank you for stopping by and for tweeting this! Found the info refreshing and updated. Was wondering about 2 things. Don’t you think the length has to do with industry & content? My other question is how do I found guest bloggers of influence. I started a series on “Aging Gracefully”, about to publish #2. Having read a lot to prepare for the topic (only posting 1 a month) there is specific content I would love someone’s expertise on. I have asked Beverley Golden & Takara Shelor & your blog has me thinking of a guest blogger with influence. Great question! I do see your point about length with regard to industry and content. 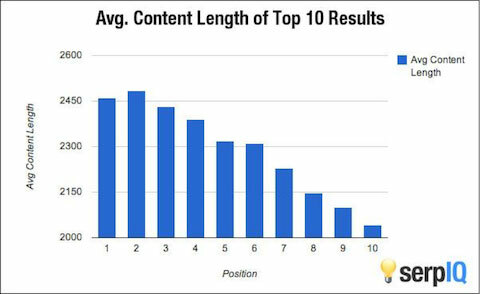 The study analyzed the top 10 search results for over 20,000 keywords and the results showed that longer articles were favored by Google in the search results. Your new series sounds great. Having guest bloggers with influence is a great plan. Great tips! I will be reviewing my website with this in mind. I’m glad to hear you like the tips! WOW! As always, you are full of helpful and timely information!! The Society of American Florists recently devoted their entire monthly magazine to this subject and I read it last night. Fortunately I already follow all of their suggestions (and more) and yours as well. Until Google changes again, people find us (which is amazing since I can’t find us) enough to keep our business healthy! For us, as important as Google (and maybe even more) is Yelp. I’m happy to hear that you found this helpful and that you have implemented these strategies! It is great to hear that The Society of American Florists dedicated so much time on this. Yes, Yelp has become an important piece. Thank you for stopping by and for commenting!